A female writer begins a very close friendship with a boy who makes her remember a lost love. She daydreams with his lost love, talks with him as if he were in the same room, and remembers all the happiness she used to have. While we see through backflashes how was her relationship with his lover, we also see how she begins to feel a sexual desire for the boy. She tries to keep with her the boy all the time, as we see through the backflashes how she tried to keep her lover with her all the time. There is a religious conflict in the main characters, Atheism Vs Catholicism. The more we see the more everything makes sense. 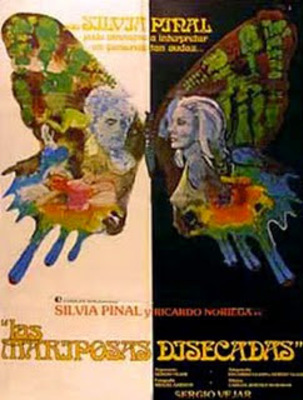 Cast: Silvia Pinal, Ricardo Noriega, Ada Carrasco, Humberto Elizondo, Martha Covarrubias, Gonzalo Vega, Andrés León Becker.